Please make your reservation by leaving a message at 586-565-2548 or via e-mail to KLOlson@wowway.com. Reservations should be made by May 9, 2014. A map and directions to O’Mara’s Restaurant are available at www.omaras.net. 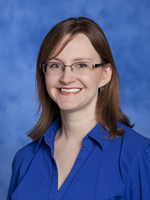 The Association of Analytical Chemists is privileged to present the ANACHEM Fellow Award to Dr. Kendra Evans for her exceptional service. Professor Evans has been a member of the ANACHEM Board of Directors since 2010 and currently serves as the Vice President of ANACHEM. She has contributed in many ways to the fall ANACHEM / SAS Symposium including the production and publication of the symposium program. In addition, she has arranged and hosted numerous monthly meetings and board meetings at the University of Detroit Mercy. We hope that you will join us for an enjoyable evening as we thank Kendra by presenting her with the ANACHEM Fellow Award.